Are you looking for a genuinely helpful career service, with specific expertise in the Canberra job market, especially the Australian Public Service (APS)? See Change Consulting, operating successfully in Canberra since 2004, offers a practical approach, without inflated costs or unnecessary inclusions. Alison Shepherd, Principal Consultant of See Change Consulting, helps people with executive coaching, career choice, career planning, promotions, job interviews, resumes and everything to do with achieving career success. She specialises in interview coaching for both the public and private sector. Alison also assists people with their job performance and team interactions. She has a strong reputation as a qualified and professional coach and is highly experienced. She has over 15 years experience in the Canberra market. Alison offers affordable and practical career coaching services, to help you navigate your career successfully. Coaching can be face to face, by phone, by Skype – all to suit your purposes, budget and timetable. Enquire now about 1 on 1 help through the Interview Skills Package, Career Progression Package, Career Change Package, Job Seekers Package, Career Choice Package or Executive Coaching Package. Bookings for face to face coaching are available during business hours. If you require a booking after hours, coaching by Skype or phone is also available. It is best to book ahead if you are interested in face to face coaching – eg if you have an interview coming up. Alison offers practical short term coaching options. Her coaching follows 6 key principles. Practical – Alison’s career coaching has no ‘join the dot’ style solutions but instead includes plenty of reputable techniques & meaningful conversation. For example Alison provides practical interview tips drawn from real world experience and application. Flexible – the service is designed to suit you and your schedule. If you are a senior executive or CEO, experienced employee, graduate or recent school leaver, Alison can assist you. She offers career coaching which is confidential, easy to access and focused on making a real difference to your career success. 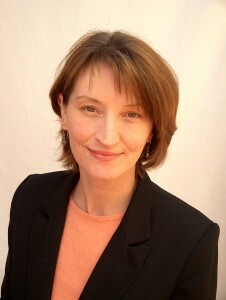 Alison Shepherd is a highly regarded and successful professional career coach and interview coach, based in Canberra. She has helped thousands of people, from all walks of life, with career and interview skills. Alongside coaching, Alison is also a casual tutor at the Ngunnawal Centre, at the Uni. of Canberra, helping people who identify as Indigenous, to gain tertiary qualifications. Alison has been a volunteer coach for the SA Government, providing e-mentoring for remote and indigenous youth to assist them to explore career possibilities and consider their future paths. Through her business, See Change Consulting, she has also has also been a long time supporter of the Kids to Coast program which runs activities where kids from Mutitjulu Community, at Uluru, travel to see the sea for the first time. The business also donates to the Cathy Freeman Foundation, which is working to ensure Indigenous and non-Indigenous children have the same education standards and opportunities in life. Come along as you are. No matter where your starting point is; practical coaching packages or sessions can lead you to more options, better decisions and commitment to action. Coaching can be face to face (recommended), by phone or by Skype. Choose a one-off session or a tailored coaching package. Face to face sessions are generally around 60 minutes but shorter sessions are available by phone or Skype. Choose a single 1 hour coaching session or a program of sessions. Prices are highly competitive, consistent with a philosophy of making coaching available to all. See Change Consulting also offers discounts for early payment and to people who are under 25 or people or full time job seekers. Phone coaching is also available and many clients choose regular short phone coaching as a way of fine tuning their performance and refocusing. Unlike training courses, Alison’s executive coaching or career coaching is tailored to meet your individual requirements, representing exceptional value for money. Enquire directly via out contact form or call on 0421 701 647. Bookings are often available at very short notice, – so for example if you have been given short notice for a job interview, Alison may still be able to help you out. Why would I engage a professional career coach? talk through the likely interview questions and answers. We don’t give you interview answers but help you devise ways to manage nerves at interview, structure response so your audience hear the key points, understand questions and present your strengths clearly. Billing is after each consultation with payment generally on 7 day terms via cash, Paypal, major credit cards or bank to bank transfer. Discounts are often offered on 2 or 3 session coaching packages, to private clients.